This is just a quick post to highlight some of the videos and photos I posted related to my recent India trip. Its for anyone who missed them as I was traveling, or anyone wanting to catch some glimpses of what traveling around India might be like! I posted a bunch to my Instagram account, and set up and India collection of video clips (which you can see on your phone) as well. This was the second time I’ve been to Delhi (and then Rajasthan), and it was as inspiring as the first. It was rickshaws and thali plates and rich, thick garlands of roses and marigolds. It was long dusty walks, faded floral fabrics, and market baskets filled with ladyfingers and bright green desert berries. The palaces! The forts! The traffic! It was deafening horns, and morning chanting, and gin and tonics, and getting sick, and then getting better. It was old trains, and desert blooms that blind you (literally), and kids in lots of denim with huge smiles, phones in hand for selfies. If you’re curious about how I ended up in Rajasthan for the second time in five years, here’s the story. Those of you who have been longtime readers know I like to take a class or workshop every year or so – whatever inspires me, or whatever I want to dive a little deeper into. Over the years I’ve done color photo printing classes, letterpress intensives, most of the G.I.A. labs – it all somehow weaves itself into my work at one point or another. I’d been looking for a serendipitous sign to pull me back to Rajasthan, and when I got an email from these two legends / superstars / favorite people, saying they were teaching a workshop in there. Exactly! I was in. This lady ended up being my roommate (leap of faith! ), we had a blast, and are already scheming the next adventure. Maybe to the South next time? I hope you enjoy the photos, there are so many more I haven’t had a change to process yet. I shot a lot of portraits on this trip, and might wrangle them into a collection of some sort. Long way of saying, more to come. For dry ingredients, we went with cocoa powder, almond flour, coconut sugar, and sea salt. Walnuts and dark chocolate chips add the ultimate brownie factor, while chopped-up dates add more natural sweetness and a sticky, caramel-like surprise to bite into. The second the temperature gets above 60˚F, it’s hard to pull me back inside. In fact, as I’m writing this, I’m sitting on my patio, soaking up a bit of afternoon sun. So it should come as no surprise that I start to also focus on recipes that go well in a picnic setting. This avocado chickpea salad is a bit of an amalgamation between this egg salad recipe and this chickpea deli salad from Sprouted Kitchen. It’s meant to scooped up with a solid cracker or served on a perfect slice of bread. Best of all, it uses mostly pantry ingredients (like my favorite chickpea) but is still fresh tasting with help from the herbs and the California Avocados. Also, I made a batch of these crackers (with sesame oil) which helped me use up a few seeds I’ve had stashed in the freezer! The post Avocado Chickpea Salad appeared first on Naturally Ella. I’ve been having quite a lot of fun playing around with different Instant Pot recipes over the past few months, but one recipe has emerged as a breakout. It’s the one that keeps my Instant Pot on my counter instead of under it. You ready? It’s the hummus from Melissa Clark’s Dinner in an Instant. I find myself making it once or twice a week (no joke!). Because, who doesn’t need nearly effortless containers of hummus in their refrigerator all week? The recipe yields a silky, smooth hummus, and once you nail the method, the variations you can do are endless. I love to take it in different directions, and the version you see photographed here is fortified with a couple generous handfuls of spinach. I’ll also including notes related to a few other favorite variations down below as well. Because, as much as I love classic, straight-forward hummus, I also like to make an herb version, a spinach hummus, there’s a beet version, and (pictured here) berbere spiced hummus – maybe my favorite version yet?!. It goes on and on. Melissa uses some interesting techniques here, and it results in a beautifully smooth, billowy hummus – without having to peel each individual chickpea! I think the biggest positive impact on the texture comes from making an ice watery paste with tahini, garlic, and lemon juice, and then working in the chickpeas from there. Berbere Hummus (pictured above): The version pictured here is flared out with berbere, a spice blend typical to Ethiopia and Eritrea. I like the berbere recipe in Josef Centeno’s Baco cookbook. But if you don’t have it, google around for another version online. To make the berbere-accented hummus, add 1 tablespoon (or more to taste!) of berbere spice to the blender with the other ingredients. Also, sprinkle on top of the hummus, after drizzling with olive oil. Beet Hummus: throw a small, peeled (yellow, orange, or red) beet or two into the pot long with the chickpeas, and proceed with recipe. Alternately, you can add the beet raw to the blender. Turmeric-soaked Chickpeas with Yuzu and Black Pepper Hummus: I’ll post my technique for these chickpeas soon (working on it! ), I season that hummus with a generous splash of yuzu juice, you can find alongside Japanese ingredients on occasion in well-stocked grocery stores. Also, lots of freshly ground black pepper. As picnic season finally is upon us, we are kicking it off with two new favorite things. One is a bike and the other is a bread. We have been dreaming of a Danish cargo bike for years and years, and last month we finally splurged on this one. It’s the perfect vehicle for us because we can fit all three kids in it, with seatbelts and all. It’s ideal to bring home heavy grocery bags with. And it’s environmentally friendly. All practicalities aside, it is also lots of fun to ride around with and we are roaming from playground to picnic spots without a hitch. We just pack a few blankets, a big smoothie, a rhubarb compote and this beauty of a bread. We created this recipe for these kind of picnic situations. We wanted something spring-y and savory that would be more moist than a bread and not too heavy or complicated. It’s basically like a savory muffin that we bake in a sheet pan. It serves many, is easy to make, super moist and flavorful and you can make lots of variations on it. Preheat the oven to 180°C / 350°F bake mode, grease a 30 x 22 cm / 12 x 9 inch tray or line it with parchment paper. Whisk eggs in a separate bowl, then add buttermilk. Finely chop the onion. Peel the potatoes, grate them coarsely and add them to the wet mixture along with the onion. Crumble in half of the feta cheese. Give it a good stir and then pour the wet mixture into the bowl with the flours. Use a wooden spoon or spatula to combine the batter and then pour it onto the tray. Use a peeler to shave the asparagus into thin ribbons and spread them out over the batter. Crumble the remaining feta cheese on top. Combine pumpkin seeds, oil and honey and sprinkle them on top as well. Brush the asparagus with any remaining oil from the seeds. Bake for approx. 35-45 minutes or until golden and a skewer inserted in the centre of the cake comes out clean. Remove from the oven and set aside to cool slightly in the tin before transferring to a wire wrack to cool completely. Store the cake at room temperature in an airtight container and it will keep for a few days. It all starts with ripe bananas scored down the middle to prepare for all the delicious toppings. I am pretty excited to share this recipe with you. If you’ve been hanging around this site for years, you may remember I had a web design company that I co-ran with Melissa from The Faux Martha. 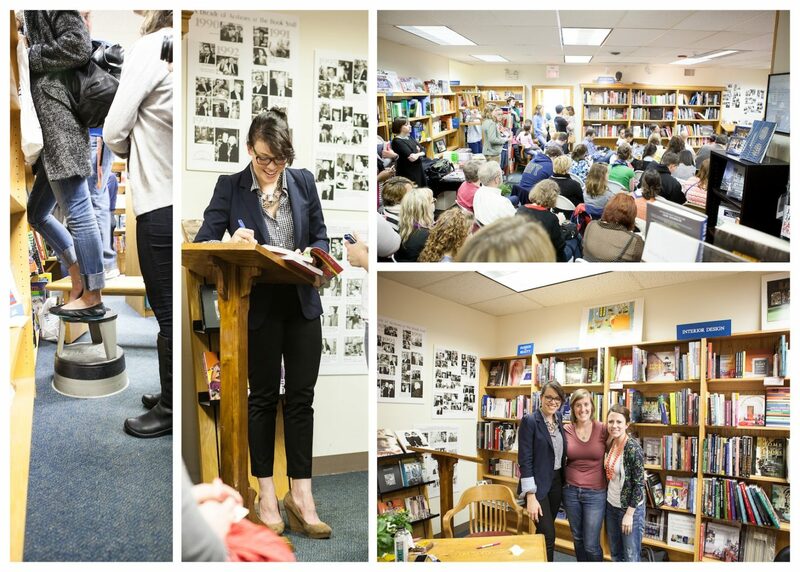 We met in person after following each other in 2012, for a Joy the Baker book signing in Chicago (there are pictures!). From there, the rest was history. A couple years ago, we agreed it was time to close the doors to the design company. We didn’t know what was going to happen but we both wanted to focus on the things we loved. It all feels like ages ago. The post Breakfast Tostada appeared first on Naturally Ella. Asparagus is the workhorse of the springtime kitchen. Unlike the fussier darlings (I still love them), fava beans, peas, and artichokes, all of which require copious amounts of preparation time. Asparagus is relatively simple. Instead of partaking in tasks like shelling, trimming, and de-choking, asparagus can be at its pinnacle with a simple trim, quick blanch, drizzle of oil, and dusting of salt. We get pencil thin asparagus here, as well as asparagus thick as a candle – and everything in between. Here are a range of asparagus winners that will teach you how to cook asparagus like a pro. Happy spring, and enjoy! A great starter recipe. Everyone should have a good asparagus soup in their back pocket. This one is tops – fresh asparagus, new potatoes, a bit of green curry paste, and coconut milk are pureed to make this spring favorite. Get the recipe here. An excellent impromptu springtime lunch tartine: avocado smeared across toasted day-old slabs of sesame bread, layered with arugula and garlicky caraway asparagus + toasted pepitas. Get the recipe here. Cheers to spring produce from Sprouted Kitchen. Love this simple preparation with the pesto. It has a surprise kiss of chipotle in it, along with a hint of lime. Perfection. Get the recipe here. All things green in a quick, weeknight pasta option. It’s feel-good food that won’t weigh you down – ponzu dressing, green vegetables, and the pasta of your choice. Swap asparagus in for the green beans here, and you’re all good. Get the recipe here. Spring magic with a rhubarb vinaigrette. Shaved asparagus with all the things fresh and green. Get the recipe here. A favorite stir-fry recipe. Asparagus and tofu form the base, but it has quite a lot going on beyond that. You get a bite of tang from the lime, heat from the red chiles and fresh ginger, mint and basil cool things down, and a touch hoisin sauce gives you just enough sweetness to balance it all out. Get the recipe here. Love this Alison Roman recipe. Also, a good opportunity to get your fava peeling fix on, if that’s what you’re in the mood for. Get the recipe here. I love this salad so much. And, unless you absolutely loathe cilantro, you must try it. Simply cilantro leaves and stems tossed with a simple shallot-forward soy sauce dressing, plus peanuts, and asparagus. So good. Get the recipe here. Yes to spring rolls. Yes to ginger lime dipping sauce. Get the recipe here. A simple asparagus panzanella – a quick, mustard buttermilk dressing accents good asparagus, alongside crusty shards of toasted bread, and a dusting of sesame seeds. Shred a hard boiled egg over the top and you’ve got an even more substantial meal.Get the recipe here. The post testing appeared first on Food Heaven Made Easy. We were turned onto these Coconut Wraps* by Sarah’s Day. After ordering them and trying them for ourselves, we were hooked! They’re made with 4 simple ingredients and quite versatile.